I am available for Workshops, Seminars & Public Speaking. 'Wake Up to Source' is a holistic philosophy with processes designed to create healing and transformation by going back to the Source of your negative beliefs and patterns. During this workshop, you can explore and gain understanding of your own process of creation. You can discover a connection to your core essence. When you re-member your first impressions and thoughts you bring your original perceptions and decisions to conscious awareness. You then have a choice to heal your experience. An individual who heals negative thought forms impacts their consciousness and future potential, that creates a ripple effect on the entire human race. This workshop utilises Source Process & Breathwork, created by Binnie A Dansby and Integrated Self Empowerment Techniques (ISET). Do you require healing from a physical disease or illness, emotional trauma or do you simply want to create a deeper connection to your inner self? This hands on workshop will give you the knowledge and tools to rise above your own preconceived and pre-programmed limitations and beliefs. You will learn a Five Step process to create and take responsibility for your own health, well being and happiness. Do you often feel like you are going around on a merry go round, repeating patterns of behavior and never fully being able to sustain the changes that you really want to make? Lynne is a warm and inclusive presenter who happily shares her knowledge and experiences with the group. Thank you for an inspiring evening. 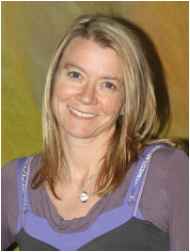 Lynne Thorsen is an intuitive healer, holistic therapist, workshop facilitator and freelance writer on self-empowerment, healing and natural birth. Her inspirational stories have been published in a number of international magazines and she is a contributing author to three internationally bestselling ‘Adventures in Manifesting’ titles. Her entertaining and transformational workshops are based on the philosophy that we are all in a state of constant creation. Her focus is to provide her participants with the knowledge and tools to create the life that they really want to live!